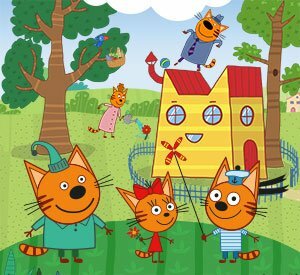 Nickelodeon International has acquired rights to an animated series based on a Russian cartoon executive produced by children’s TV veteran Nigel Pickard. Kid-E-Cats (52×5′) will air this fall on Nick Jr in a total of 143 countries. These include the UK, Benelux, Germany, Greece, Indonesia, Vietnam, Philippines, Australia, Scandinavia, Italy, Spain, Portugal, France, Africa, Latin America, South-East Asia, India, South Korea and Russia. The show tells the story of three kittens who are ready to jump into action with endless enthusiasm and energy. The series is distributed by APC Kids, the children’s content arm of Nevision-owned distributor About Premium Content (APC), and is based on an original Russian series produced by CTC Media and Studio Metrafilms. APC Kids began developing an English-language version of the series last year with Pickard and story editor Ceri Barnes.